Lady Bird is a comedy-drama film written and directed by Greta Gerwig and stars Saoirse Ronan, Laurie Metcalf, Tracy Letts, Lucas Hedges, Timothee Chalamet, Beanie Feldstein, Stephen McKinley Henderson and Lois Smith. 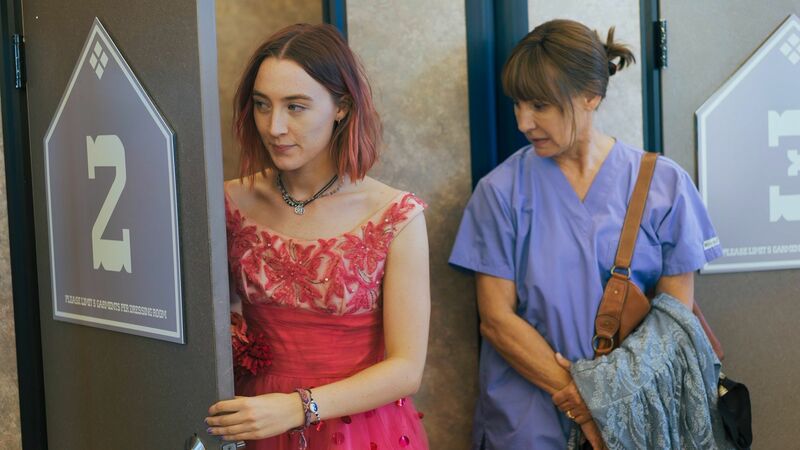 This film is about a high senior, Christine/Lady Bird (Ronan), in Sacramento trying to deal with the stresses of graduation, her social life, college, and her mother, Marion (Metcalf). This film is about the coming age of the titular character. This film takes 90 minutes to tell the audience this semi-autobiographical film about Gerwig's high school days. It's a very quirky movie, similar to that of Juno, and like that film, it has a great script. Her script is written in a way that feels authentic from its jokes to the relationships between the characters. She is able to create this environment that anyone who tried to figure out who they were back then will attach themselves to. This film is able to look at the serious points of what it is like being in high school and also the fun parts about it. A great script, however, can be destroyed if the cast is no good. This is luckily not the case. The stars of this film are Metclaff and Ronan as the mother and daughter. Lady Bird is the nickname she gave herself as she believes that it was her given name by her unlike "Christine" which was given to her by her parents. Her mother wants her to be the best she can be so she can have a better life than her and Lady Bird's father (Letts). Her father has been laid off and her mother has to work more and more hours as a nurse. Their relationship is one of the core conflicts of the film and feels authentic. One moment, they are crying together then they are arguing. Another moment, Lady Bird is upset and tells her mother how passive aggressive she is but then they bond over a dress. Marion pushes her daughter in ways that only a loving mother would and Lady Bird only sees her as someone who is making her life worse. 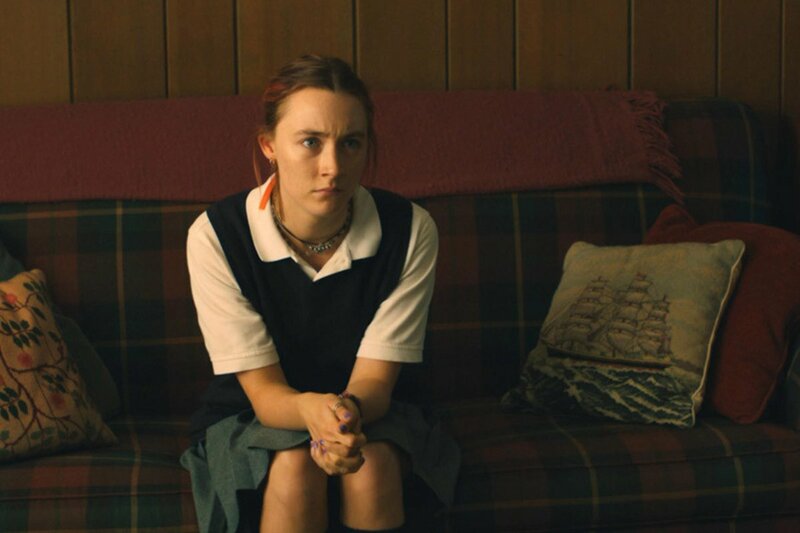 Being people who are not well off like a lot of Lady Bird's classmates leads her to be ashamed of where she comes from. Metcalf is fantastic here as the mother and her chemistry with Ronan is just as authentic as Marion and Lady Bird's. However, the star is Ronan. She is mostly known for her starring role in 2016's Brooklyn and 2007's Atonement but this role is far from those. She plays a character who throws herself in things she'd never do before like musical theatre and begins to act out (as teenagers do) and do things that would make Marion angrier than she normally is. Ronan is brilliant here playing a girl for the most of her film is six years younger than her actual age and she in no way feels out of place. Ronan and Metclaff are supported by a cast who are able to work very well with the characters that are written for them with both Hedges and Feldstein the standouts. They are also joined by film veterans Smith and Henderson who do provide great dialogue from Gerwig's script. The biggest highlight of this film is how it creates it characters that make the audience care for each one. In their own ways, they all go through journeys similar to that of Lady Bird. While not as concentrated as hers, each is still developed enough for a viewer to care. The main flaw is that this film moves very quickly through its events. A lot happens to Lady Bird in the 90-minute time frame that some bits feel rushed. Certain characters resolve their issues fairly quickly and some character arcs do not really resolve at all. The ending also is very awkward when Lady Bird realizes the significance of her mother's love. She realizes it in a way that did not stick out as being the most significant issue between the two women. Being a coming of age story, the execution seemed a tad off-putting. Not to say it was the worst way to end a film and conclude the story but it was not the best either. The flaws do not take away much from the film because of the absolutely brilliant script. Being Gerwig's first solo outing as a director, this film is pretty fantastic. It's not perfect but it definitely will have you laughing and feeling close to these characters. Ronan and Metclaff are great and this film could garner a nomination for Best Original Screenplay. If not, Gerwig is a director/writer to look out for in the future. The semi-autobiographical relationship between Lady Bird and her mother feels real and the film will touch a lot of emotional buttons. Though advised to see in theatres, you do not have to but you should definitely check it out on Bluray or VOD.